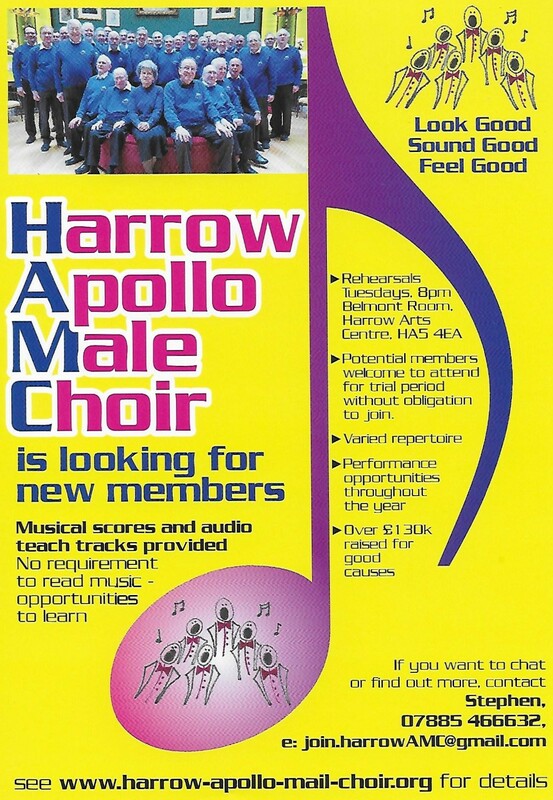 Harrow Apollo Male Choir are looking for new members. This choir which is now in its 77th year is in danger of folding if we can’t recruit some younger members to ensure it remains a going concern. They currently do about 12 concerts a year in the local area. Their efforts have contributed to raising over £130k over the last 10-12 years.